Several schools in Dubai have put out advertisements inviting applications for prospective female bus monitors. This follows a decision last week by the Roads and Transport Authority making it mandatory for schools to have at least one female conductor on buses carrying girl students, or mixed students up to the primary level. 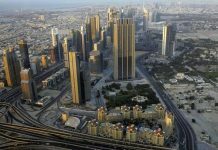 The Indian High School in Dubai has hired international staffing agencies to recruit female bus conductors. 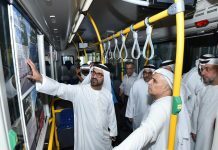 Existing bus conductors at the school will not lose their jobs as they will be shifted to Indian High School’s new campus in Silicon Oasis where they will work as school assistants and administrative helpers. 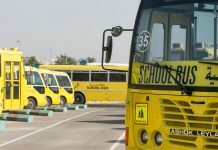 Similarly, Deira International School, which has over 1,350 students on its campus in Dubai Festival City is also seeking additional female bus attendants to assist students during their journey on school buses. “All our buses have had female bus attendants since we started the school but we are also looking for new staff. 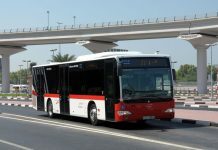 We have recently hired a head of security and two bus supervisors to oversee the smooth functioning of our transport network,” said Tony Ross, Principal, Deira International School. The school sources most of its female bus attendants from the Philippines as they also double up as teaching assistants and administrative staff during school hours. “We do not believe in installing CCTV cameras and barcode identification for students as the presence of an adult invigilator is sufficient. As a security measure, all our bus drivers are connected to the school through mobile radios installed in the bus to communicate during any crisis situation,” added Tony. 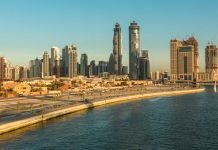 While most international schools in the city follow international best-practices which include hiring female bus assistants, low-cost schools in Dubai have to hire anew without hiking fees. 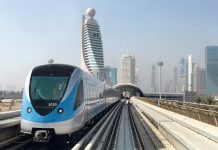 Mirza Ghalib, Principal, Central School, Dubai said the new guidelines posed several questions on what would be the fate of existing male conductors. The school follows a split-shift system where girls attend morning classes and boys from Grade 4 onwards attend afternoon classes. With 24 male bus conductors ferrying the students during the day, the principal said limited resources would put a question mark on the fate of existing conductors. “We use the same conductors for both the boys and the girls shift and any investment on new staff would force us to reconsider our resources which may cause some of our male conductors to lose their jobs,” added Mirza. 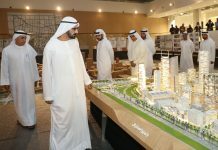 While schools have largely accepted the new guidelines as part of a joint initiative by the RTA, the Knowledge and Human Development Authority (KHDA) and the Community Development Authority (CDA), psychologists have also said the move would bring a ‘positive change’. Dr Rajeshree Singhania, a neurodevelopment paediatrician who works closely with victims of abuse and psychological problems, said the decision by the RTA would be a first-step in promoting child security outside the home. “When there is no community or social life for a person, the tendency to exploit kids increases over time. A lot of men working here live without their families and isolation is one of the reasons leading to abuse. Hiring female conductors will surely bring down the prevalence of abuse incidents at school,” said the paediatrician. Other developed cities around the world have provided school safety guidelines through various associations and training programmes for schools. In the US, the American School Bus Council has made it mandatory for all school bus drivers and attendants to pass a criminal background check prior to hiring. Once hired, the drivers are trained in defensive driving, basic first-aid and accident and emergency procedures. In Singapore, part of school safety procedures include speed limits constraining travel at a speed of not more than 60 km/h. For safety reasons, school buses are also not allowed to swerve in-and-out of traffic and change lanes. 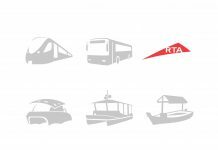 The new guidelines by RTA are on similar lines, as the school safety handbook provides a comprehensive guide on precautions while travelling on school buses. However, the real test for authorities will remain on finalising a conclusive deadline for the hundreds of schools that will be affected by the decision as the new academic year has already started in most schools.